Soylent Green is… not real. As has been covered by the UK-wide Green blog Bright Green, there has been a bit of a stooshie amongst some unreformed environmentalists after the leader of the Green Party of England and Wales, Natalie Bennett, made a speech unashamedly embracing immigration. The population control lobby are a stick which people use to beat Green movements the world over, accusing them of authoritarianism or, at worst, eugenics. A simple-minded approach to environmental problems says that there are too many people, and that we should just have fewer of them to solve all problems. This is less noticeable in Scotland but to the casual observer might appear true in England where issues of sprawl consuming green space is far more prevalent. England’s problem is more that it has an addiction to suburban housing estates instead of building high density sustainable urban housing and social space – one of the great ironies of the modern suburb is that they often have lower levels of access to the things they were designed to facilitate – namely a higher quality of life outside of urban centres. Such spread is what led to the expansion of the slip road and the motorway and much else besides, along with an associated decline in point to point urban travel such as buses and railways. Even if Britain were overcrowded, keeping people out would not save the planet anyway. As science hurriedly maps the global ecosystem it is becoming increasingly apparent just how interdependent we all are in areas other than the global economy. Stopping people from entering the UK would do nothing to stop population growth and the associated environmental burdens whatsoever. If the far right or the population lobby were serious about stopping immigration they would plough as much money as possible into the developing world to encourage the transition to the relatively gender-equal societies of Europe and North America, give countries help in moving on from the economic or social pressure to have large families, and push to reform international trade so that it did not put economic and population growth as the primary means by which countries advance. The population lobby should direct its ire at half a century of misplaced architecture and planning or the bizarre injustices of the global economy, as contemporary Greens are, and lose the Soylent Green dystopian scaremongering. The Scotsman’s front page declares “Tuition fee axe ‘still favouring the rich’“, a classic instance of the headline not being stood up by the story. To be fair, the headline online is the much more accurate “Scottish universities remain elitist“. 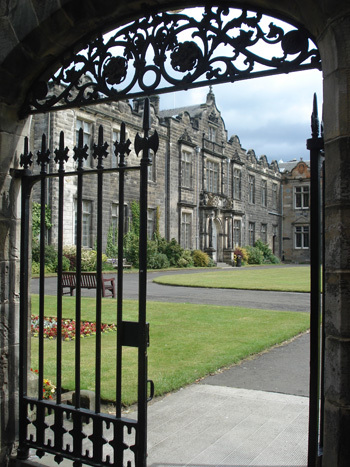 The supporting piece, by Sheila Riddell from Edinburgh University, argues that the proportion of working-class students at Scotland’s ancient universities has declined from 21% in 2003 to 19% now. Attributing this change to the abolition of tuition fees, as the frothing front-page headline at least seeks to do, is evidentially problematic to say the least, given that rebranded tuition fees were scrapped in 2008, precisely halfway through that decade. Simultaneously, and more compellingly, the Guardian reports on survey data from England which looked at precisely the most important group: 11-16 year-olds in state schools. Amongst those who say they’re unlikely to go to university, 41% say they’re not bright enough (something which, it should be noted, never seems to deter the privately-educated and will certainly not be true for many in that group) but 57% cite the cost as the deterrent. The headline on this? The diametrically opposed “University fees biggest barrier to wider access, research finds“. It is difficult to draw hard and fast conclusions from this data because there’s no control, no parallel Scotland which didn’t abolish tuition fees in 2008, no parallel England where the Lib Dems kept their promises (that one’s even harder to imagine). Only 19% of students at the ancient universities are from working class backgrounds this year, sure, which is very poor: but what proportion would have been if every student had to pay £9000 per year? Leaving aside my ideological preference for education to be based on academic merit rather than ability to pay, though, it still seems likely that tuition fees will be less off-putting to those for whom money is no object. It also remains the case that tuition is of course only one cost associated with higher education, which is why previous generations of students (notably including those Labour, Tory and Lib Dem politicians who introduced or hiked tuition fees) had the benefit of a system of grants, now largely gone. As Riddell notes, the SNP administration to its credit is also introducing (reintroducing?) funding in bursaries and loans of up to £7250 for students from poorer backgrounds from the autumn of this year. That will surely help. However, the problems with unequal intake don’t start when school leavers are considering applying to university. The inequalities in our education system start right at the beginning, and are anchored in a secondary system divided between the private and the state-run. Means-tested grants, ending fees: these are good measures, but they are merely tinkering. Unless we start phasing out private schools (or otherwise bringing the state sector up to their standards), we will continue to see grossly unequal intakes to universities. It’s not just idealism at work here: the current arrangement is also bad capitalism. The interests of business as well as society would be better served by the brightest making it to university, irrespective of their parents’ background. It’s not time for fees to come back and entrench the divide. It’s time for radical change to an educational system that continues to confirm entrenched privilege, generation after generation, through school, into university, and on throughout life. Disclaimer: I went to a private school and to St Andrews (above) and am therefore part of the problem. There have, in the past week, been a few noteworthy articles regarding the Scandinavian shadow which looms large over the issue of Scottish independence, as well as the future and makeup of Scotland’s economy, welfare system and society more generally. Now I write this as somebody who knows a fair deal more about Scandinavia than most, for both personal and professional reasons. A colleague of mine in the Greens remarked that the next Scottish Green manifesto should just be called ‘Scandinavian Nirvana’, such is the appetite in the party for increased welfare, greater social freedoms, gender equality and local democracy. I wholeheartedly agree. Which brings me to something said by Blair McDougall in a BBC interview on the independence referendum. He accuses his opposite number in the Yes campaign, the significantly more articulate and less hackish Blair Jenkins, of wanting ‘57 per cent tax like in Norway’. There are indeed people in Norway paying that much tax, but these kind of people are not the salt of the earth working men and women which McDougall thinks will be crushed by the weight of Kaiser Salmond’s iron taxation, if he did indeed have such plans. Then there was a report in The Economist which made the odd logical step of collating the radical reforms by centre-right governments in Sweden and formerly in Denmark with the high living standards and safe economies of the Nordic countries. As the Swedish journalist Katrin Kielos noted, there is an awful schizophrenia about the new craze for the Nordic centre-right, in that it assumes that being Scandinavian is a virtue in itself and argues that the path forward for these secure and durable systems is to follow a more British or American model . It is a trend which wishes to dine on the fruits of the Scandinavian countries’ labour whilst seeking to undermine it at its foundations. The whole thing is illustrative of the fact that there is a huge amount of ignorance about the way in which Scandinavian society functions, and that this ignorance can be used to significant political advantage. It is also debatable to what extent it is even appropriate to address the Nordic countries as a single unit. There are however certain things which underpin ‘the Scandinavian model’ which Scotland would have to adopt were it to develop in such a direction. The first is a strict ethos of universalism. Not all services are free in Sweden or its neighbours, but notable by its absence is the incredibly British notion of selective assistance. Britain seems to implicitly accept that there should be huge gaps in income between different levels of society, and that one of the roles of public welfare is to alleviate this. It is a mode of thinking which the New Labour project perfected with its targeted alleviation, support for bright pupils from state schools and university access bursaries, without ever tackling the structural causes of poverty and discrimination. Secondly, the way in which Scandinavian trade unions work is different to the British model. The nostalgia for the 1970s which pervades much of Britain’s left ignores the fact that old British models of trade-unionism were what allowed public support for the radical reforms of the 1980s. The systems of collective bargaining employed in Sweden and relatively high levels of unionisation amongst what might be termed normal people means that it is both destigmatised and can claim to represent large portions of the population. This system has come under attack from centre-right governments in recent years but has survived relatively intact. The Scandinavian countries do not have a legal minimum wage, but they do have an effective minimum wage proportionally higher than Scotland, leading to a reduction in income inequality before the tax system has even played its redistributive role. And once tax is collected, where does it go? Not into benefits as they might be normally understood, but rather into the provision of universal services. Childcare, incredibly well funded education systems, transport and infrastructure and healthcare. The biggest challenge to Scotland is whether it is possible to transfer to this type of system given the appalling disparity evident in the country and present. It is in the interests of every Scottish woman to vote for a scenario which will provide the funding and structures for them to work and live on the same terms as men (and from a male feminist perspective, in men’s interest too). Now to return to Blair McDougall and his mythical 57 per cent tax rate, I would say that it would only become an issue when you earn as much money as a senior press adviser or an MP. Having large tax reserves means that in times of crisis governments are able to effectively deal with them, unlike the British model of medium taxation on an out of control financial system without any thought as to the after effects. So to be realistic, adopting a Scandinavian social model would involve higher rates of tax, but it would also involve higher wages and better public services. In real terms incomes might well be higher, or at least remain static whilst providing for higher levels of public investment. David Leask’s excellent ‘As Others See Us’ column in the Herald, in which a group of Norwegians were asked for their opinion on independence, was revealing. The lack of interest in Scotland’s constitutional future was unsurprising – I frequently find myself explaining to Swedes the ins and outs of the independence movement – as Scotland is not politically visible. The Swedish daily Dagens Nyheter recently published a feature on Europe’s contemporary independence movements which mentioned Scotland in the same breath as the Northern League in Italy and Flemish separatism in Belgium, entirely ignoring the broadly leftist motivations found in the majority of pro-independence groups and parties in Scotland. The challenge will be to explicitly build the construction of a sustainable and humane welfare state into the Scottish cultural narrative at home and abroad. Neither would we or should we transform Scotland into Scandinavia overnight. When talking with a good friend of mine about how I hoped to live in a Scotland where I felt the state and society treated me and any potential wife/partner equally she smiled wryly and wished me good luck, with some justification. But that isn’t to say that we shouldn’t try. I answered that to combine the best aspects of Scotland and Sweden would create something beautiful, but that it would require the type of radical social change not seen since the 1960s. It would be a national project which larger countries would be entirely incapable of, but which might just work in Scotland. Scandinavia might be a fluid concept with many faces, but the values which it ostensibly represents are what we should really be aiming for. Both financially and morally, we cannot afford not to. I’m leaving Sweden, again. It feels good to be heading back to my flat in Leith, to Stereo in Glasgow and all my friends, to the Cairngorms, to Frightened Rabbit and Easter Road, CalMac ferries and Scotrail sprinter trains. I would also have put Innis and Gunn Rum Cask on the list, but the Swedish alcohol monopoly sees fit to stock the stuff to an admirable degree. I’ve been away for a half-year now, watching the independence referendum from afar. I’ve seen TV clips of Johann Lamont declare Scotland a something-for-nothing society before finishing my breakfast and going to work with better paid colleagues at publicly funded Swedish universities. I’ve been forced to turn down Facebook invites to a succession of Nordic Horizons events at the Scottish Parliament, but then had the pleasure of seeing the ideas they promote in action every day. I’ve heard the Better Together campaign say that modern Scotland is as good as it gets, then walked out of my front door to see a version of urban life which is in many ways better. I’ve had the pleasure of seeing a Green party take its place as the third party in parliament and take on both left and right on the environment, on child poverty and on the terrible state of privatized railways. Every day on my way to the metro station I pass three different council-run nursery schools and men with pushchairs taking their paternity leave whilst their partners return to work. I’ve been able to live cheaply in cooperatively run housing with district heating and communal facilities, so well insulated that I often don’t even need to have the radiator on. I’ve met young Green activists who, unlike young people in Scotland and the rest of Britain, seem to have a genuine belief in their ability to change their country for the better. I’ve hung out with girls from a design school who one day decided that all of the products they made should have zero environmental impact and then set about making it happen. I’ve talked to writers and journalists who are all part of a vibrant cultural arena, and seen what proper funding can do for political diversity (all Swedish parliamentary parties are given money to stimulate debate and encourage youth politics, as well as to maintain a small staff). I will be sad to leave Sweden, though it is not a country without its own problems (not least a worrying consumerism which accompanies being one of the world’s richest countries), but I come back over the North Sea with a sincere belief that a Scandinavian style approach in Scotland is not just desirable, but both possible and necessary. Britain today is not as good as it gets.